Preparing your family for an emergency like a storm, flood, fire or terrorist attack is an important detail that many parents have not completed. In fact, a recent national survey commissioned by the Children’s Health Fund found that approximately 65 percent of families in the U.S. do not have an emergency plan that all family members are aware of. Experts say there are a few tips fathers and mothers should follow in order to create an emergency plan for their families. Sesame Workshop, the nonprofit organization behind the popular children’s TV show Sesame Street, offers a simple way for families to make an emergency plan. The first step is to designate two emergency contacts  one local person and one out-of-towner, ideally. These are people who will help reunite your family if you’re separated. Families should also select an emergency meeting place. 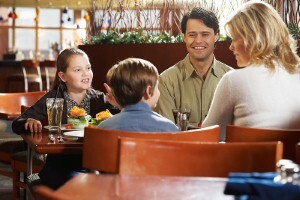 A child-friendly location that is open late, such as grocery store, may be a good option. Dads and moms should teach their children about community helpers including friends, neighbors and emergency workers. Talk with your kids about how these people are trusted adults they can go to for help in an emergency. Families are also encouraged to prepare for specific risks in their area. For instance, if you live in an area that is prone to have tornadoes, talk to your kids specifically about what you would do in those instances.